By Gordon Giesbrecth, Ph.D., and James A. Wilkerson, M.D. They describe themselves as “Outdoor books by the experts” and in this case it is certainly true. The authors of this text are recognized experts in the field of cold-related injuries. The authors have done an excellent job of describing and reviewing the various cold-related injuries. The text is up-to-date, comprehensive, well written, and applicable. This is a very useful body of knowledge for both the outdoor enthusiast as well as mountain rescue personnel. The authors have taken the time to provide information on the fundamentals of thermoregulation and clothing design as well as the recognition and management of cold-related injuries. I had the opportunity and honor of writing the chapter on non-freezing cold injuries. If you enjoy the outdoors, or if you are a provider wilderness emergency medicine and rescue, this is a must read book. I think you will enjoy it. A non-freezing cold injury that is caused by continual dampness and cold of the hands or feet. The wet and cold causes vasoconstriction of the peripheral circulation in the hands or feet reducing blood flow, causing ischemia. The skin can survive with reduced circulation for about 6 hours; after that it will die from ischemia. The resulting injury is severe, painful, and lifelong. Vasoconstriction deprives hands or feet of adequate blood supply for too long. The extremities are cold, wet, numb, and macerated (wrinkled from being waterlogged). The extremities become red, swollen, painful; may lead to gangrene or nerve damage. Get them dry & Keep them dry. Hydrate & Feed with sickly sweet drinks – warm liquid Jello is best because it has lots of calories. Do not allow them to get cold and wet again. NSAID’s; eg. ibuprofen 800mg po tid, may be given with Tylenol for pain relief. Sleep in dry socks at night. Make sure foot gear is not too tight, impairing circulation. Do not tolerate cold, numb, wet extremities – Do something! For more detailed information of trench/immersion foot injuries see the Jan/Feb 2005 issue of the Wilderness Medicine Newsletter, Non-Freezing Cold Injuries. 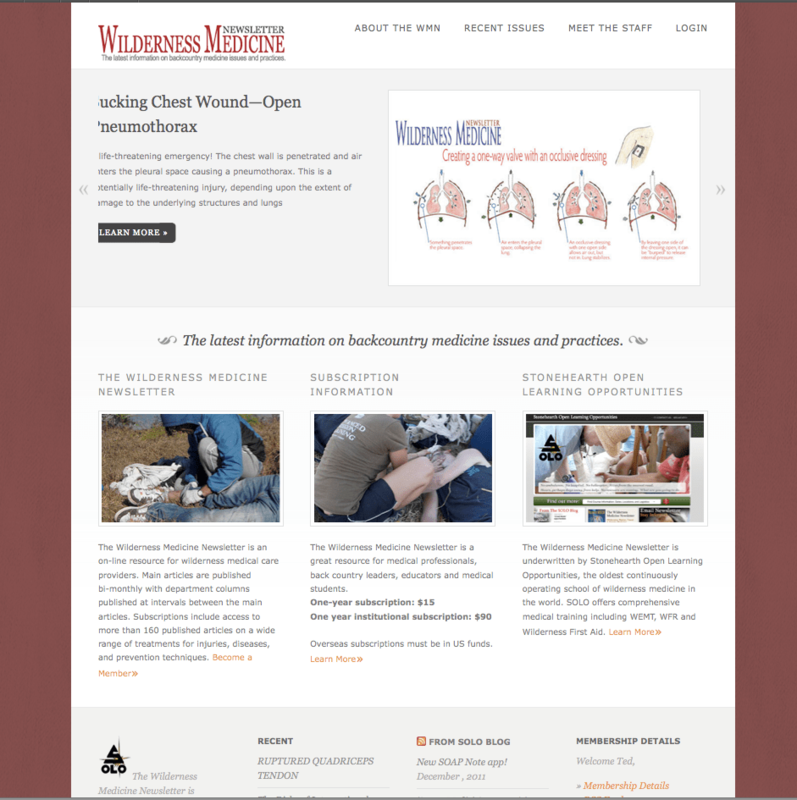 Click on this link to learn more about or subscribe to the Wilderness Medicine Newsletter.